Only a Marathi-speaking millennial will truly understand why Nagraj Manjule’s Sairat is more than just a movie. For a three-hour long Marathi film — with nothing particularly unique in terms of plot, and a completely new cast — to have the kind of impact and box office performance that it did, is no mean feat. Sairat is a homegrown Maharashtrian pop culture phenomenon with no parallel, one that has shaped the idea of a musical romance for a whole new generation. Shashank Khaitan’s Dhadak, the upcoming Dharma-produced Hindi remake of Sairat, sounds like an exciting proposition, but also one that is risky in equal measure; not simply because of the expectations, but because there’s so much to unpack beneath Sairat’s frothy innocence, outstanding music and the inimitable chemistry between the leads — Rinku and Akash. For starters, there is the caste angle, which is an overhanging presence through the film whether you notice it or not, much like the presence of caste in contemporary Indian society. Popular Hindi cinema rarely touches upon the issue of caste in any meaningful way. As is the case in real life, caste in our movies is slyly brushed under the rug, while we pretend that we’ve all moved on from the debilitating effects of Savarna privilege and its oppression of the subaltern. If Dhadak is brave enough to touch upon caste in a significantly comparable manner to Sairat (instead of restricting it to the usual rich girl-poor guy trope), that would be half the battle won. Sairat managed to remind us of caste, while also ensuring that the film does not lose its entertaining tone. Dhadak will no doubt aim for the latter, but it must not lose sight of the former, if it wishes to be as impactful. The other possible hurdle is the characterisation of the leads, and the actors who are stepping into the iconic roles of Archi and Parshya. Both Rinku Rajguru and Akash Thosar were rank outsiders to the film industry before Manjule discovered them but were intrinsically familiar with the milieu in which their eventual debut film was set. This is not the case with Dhadak, which is reportedly set in Haryana. 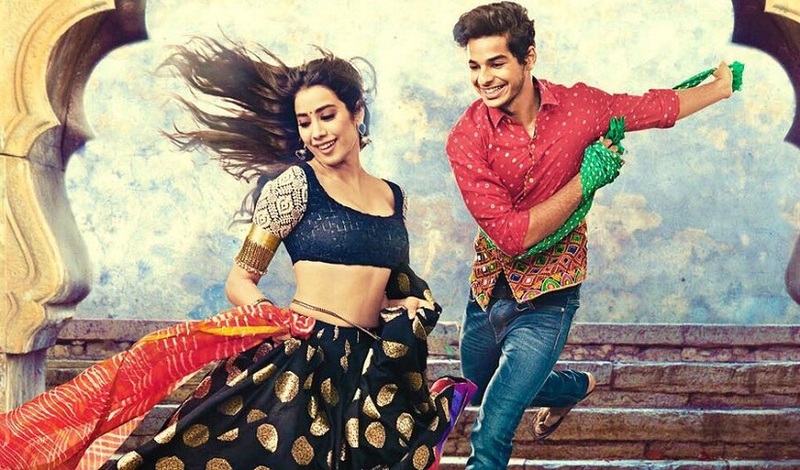 The lead pair — Janhvi Kapoor and Ishaan Khatter — will find it hard to internalise the worldview originating in the lawless badlands of Haryana, no matter how talented they are. The specter of nepotism will hang above their heads until they prove themselves equal to the task so the pressure on the youngsters would be immense. The challenge ahead for the two youngsters is monumental to say the least but one hopes that the support system behind them understands the pitfalls they are likely to face, and helps them train adequately for these roles. One aspect that Dharma will find easier to deal with is the music. The Sairat soundtrack by Ajay-Atul is a gloriously produced masterpiece, traversing moods and styles with ease. It is the foundation that propped up the unprecedented success of the film, and will no doubt be something that Dharma would be keen on recreating, both from an artistic as well as a commercial standpoint. It has not been confirmed yet whether Ajay-Atul will score the Hindi remake but whoever does it, the music of the film will be critical to its success. It will also perhaps be the easiest aspect of Sairat that Dhadak can replicate, because Dharma has regularly churned out chartbusters in the last two decades. With a big banner launching two star kids, helmed by a director who delivered a massive hit earlier in 2017, it would be hard for Dharma to not bow down to commercial considerations. Yet, if the creative forces at work in Dhadak keep the original intent in place, shorn of the practical pressures they will no doubt be under, focusing only on capturing the essence of Sairat and taking it to a much wider audience, they might find their task a little easier. The film is a long way off still, but here is hoping that whatever Dharma does, they intend to keep the soul of Sairat intact.